The Czech Republic might soon be creating an artificial sea in northern Bohemia by flooding the massive and partly abandoned brown coal mining pits located in the area with salt water from the Baltic Sea, Prague Daily Monitor reports. The initiative, proposed by the More klidu civic group, aims to provide the locked-in country with a genuine salt water reservoir that would be potentially more beneficial for the state’s economy than devastated area, current home of both abandoned and still operating small coal mines. "Maybe it looks bold and even ridiculous, but we are serious about it," Jan Plisek, a member of More klidu, which in Czech means "sea of tranquility," was quoted as saying. The NGO’s name comes from “Mare Tranquillitatis,” the place where the U.S. astronauts stepped on the Moon in 1969. Experts quoted by the newspaper think the project is unfeasible both economically and technically. The north Bohemian region has already decided on the way to re-cultivate the abandoned pits. They will be gradually inundated with fresh water and the region will become a landscape of lakes, said regional councillor Radek Vonka. "In Libya, they have thousands of kilometres of water pipelines reaching the Sahara. During the floods in New York, they used a pump drawing 600 cubic meters of waters in a second," Plisek pointed out. 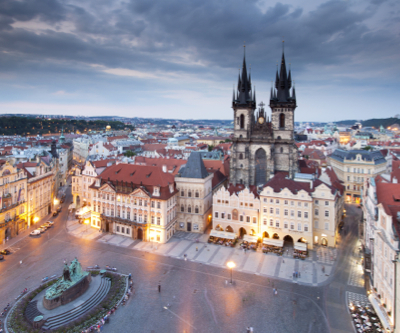 Bohemia is home to approximately 6 million of the Czech Republic's 10.3 million inhabitants. It borders Germany to the west, Poland to the northeast, the historical region of Moravia to the east, and Austria to the south.